Title: 12/02/1985 - Inspection procedures for the Hazard Communication Standard. This is in response to your letter of November 4, regarding the Occupational Safety and Health Administration's (OSHA) inspection procedures for the Hazard Communication Standard. In your letter you indicated that your greatest concern is that OSHA has recently taken the position that tank trucks and tank cars are containers. Tank cars and rail cars have always been considered to be included under the definition of a container. In the Summary and Explanation of the Standard it is stated that a container is "anything that holds hazardous chemicals except pipes and piping systems" (48 FR 228, p. 53335). The intent of the label on shipped containers is to ensure that the purchaser of the hazardous chemical receives appropriate information and hazard warnings at the time the shipment is received. With rail cars, tank trucks, etc., it is acceptable to place the label with the bill of lading rather than on the tank truck itself. The key is to ensure that the method chosen supplies label information to employees covered by the standard at first contact with the product. I hope this information has clarified these issues. If you should require any additional information, please feel free to contact us. This letter expresses the concerns of Union Oil Company of California, dba Unocal, on the issue of including tank trucks and rail cars in the OSHA hazard communication standard's labeling requirements. Unocal is putting into place its product container labeling program to meet the November 25, 1985 deadline in the OSHA Hazard Communication Standard. Recently, we were surprised to learn that OSHA's recently-issued compliance enforcement guidelines define "container" to include tank trucks and rail cars, thus requiring them to be labeled like other product containers leaving the workplace. Unocal is concerned with this interpretation because the issue was not addressed in the proposed or the final rulemaking proceedings on the hazard communication standard. We believe it is not appropriate for OSHA to enforce labeling of tank trucks and rail cars without adequate notice to the regulated community. Requiring OSHA-type labels on rail cars and tank trucks imposes a substantial burden, especially at this late date. 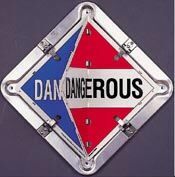 Labels developed for drums and smaller product containers, especially of solvents, are inappropriate for tank trucks and rail cars in that the hazard warnings on the label are designed for small quantity usage in confined spaces such as inside rooms and buildings. New labels cannot be designed, printed and distributed in the next 90 days. Tank truck deliveries of petroleum products, whether made by Unocal employees or common carriers, are loaded and unloaded in most cases by the driver. The customer does not take custody or have any contact with the product until it is in his tank. 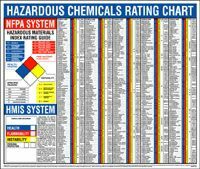 Almost all of our business is with repeat customers who will have an MSDS for the products they purchase from us on hand before the November 25, 1985 deadline. New customers will be mailed an MSDS within a week of the order date and in many instances before product delivery. Designing a new labeling system to cover all deliveries and thus provide duplicate warnings appears to be wasteful. For these reasons Unocal requests that the inclusion of tank cars and trucks in the labeling component of the standard be treated as an amendment to the standard and proposed for public hearing and comment. In the meantime, we would appreciate clarification of the guidelines. Please let me know if I can provide additional information about Unocal's position on this issue.